There are so many events that lead up to your wedding day. One of them is the bachelorette party. A bachelorette party is a party thrown in honor of the bride-to-be. It’s an opportunity for the bride to get together with her closest gal pals for female bonding. It’s just the break you need from months of non-stop wedding planning! Enjoy this opportunity to decompress and have some girls-only fun. The maid of honor typically organizes the celebration with the help of the bridesmaids. All the bridesmaids and the bride’s close social circle. What kind of bachelorette parties are there? Some groups go away for a destination bachelorette party to Las Vegas or NYC. Others plan the classic girls’ night out. Themed parties such as a pampering party are held at a spa. Some bachelorette parties involve hiring an expert to teach everyone a skill such as floral arranging or cooking. An intimate dinner or a brunch with the girls is popular too. 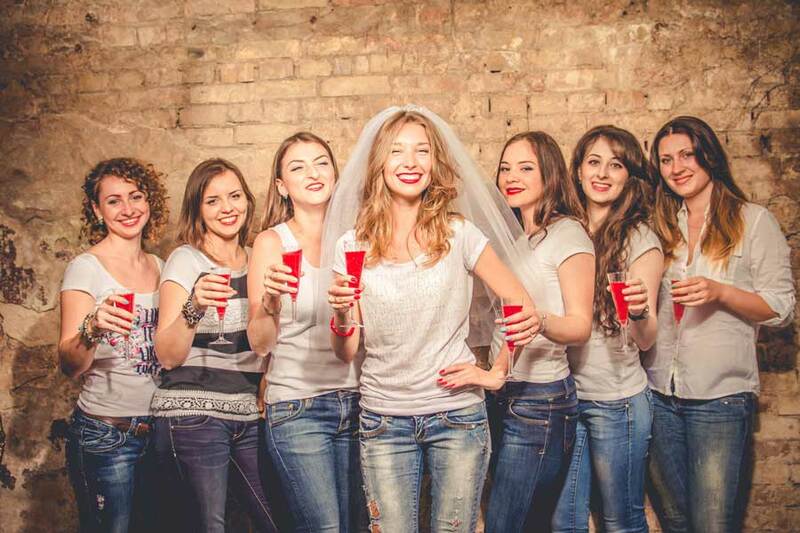 The best bachelorette parties take into consideration the bride’s personality and taste. Not everybody enjoys a wild night out nor does everybody enjoy a low-key celebration. The bachelorette party should be a memorable celebration and not one that she’d rather forget. Typically anywhere between 1-2 months before the wedding is the norm. Having a bachelorette party too close to your wedding date just adds to your to-do’s and you run the risk of wearing yourself (and your bridal party) out right before the big day.